We get a ton of marketing calls. You name it, they are trying to sell it to us, or solicit donations from us, or give us free trials of whatever it is. For a long time, I ignored the calls. If it was not a number on caller ID that I recognized, I simply would not answer… until yesterday. It suddenly occurred to me that they were wasting my time, so why not waste theirs? And so, I now bring to you a riveting new series entitled “Don’t Call Me“. 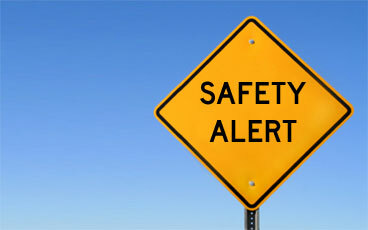 Heck, if they’re alerting me about safety, I really better answer that one! Oh, you better believe I’m interested! I mashed down on 1 immediately and was out on hold for a good thirty seconds. I cannot imagine why, but they immediately hung up on me. I was rather disappointed, because during my time on hold, I had the opportunity to come up with a long story about how I needed them to keep me safe because I have this evil gnome named Harold who follows me about causing chaos and disorder. Oh, well. Another time, perhaps. I can only hope I will remain safe without their help until then. Never in a million years would I have guessed that my enjoyment of blogging about beers and reviewing them would have collided with the horrific experiences that I have had fighting with Harold the Evil Gnome. It has happened today, reader. Harold has invaded the beer section of my life. Only, this time, I think he may be making a peace offering. 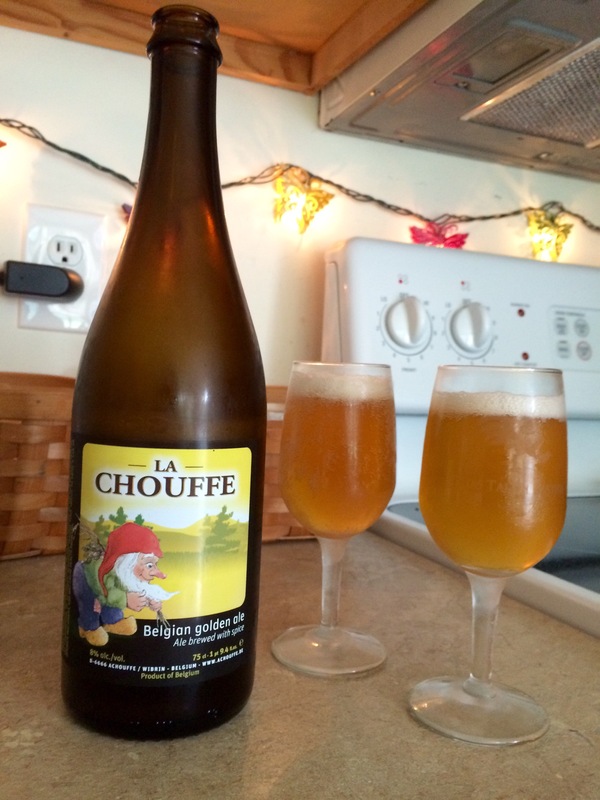 In our search for beers to taste and review, we came across La Chouffe. Named for the gnomes who used to brew beer in the mountains of Belgium, the label proudly displays the picture of a gnome, which immediately captured my attention. La Chouffe describes itself as “Belgian golden ale brewed with spice”. As a result, when I took my first sip, I was expecting more of a mulled flavor. Not so! It is a crisp, almost wheat-like beer with hints of citrus and a bit of an herbal flavor to it. After reading the back of the bottle, the lack of mulled spice and the presence of herbal hints makes sense; they put coriander in it. All in all, I liked it – a tad bit bitter for my preference, but overall not so much that I didn’t enjoy it. I’d give it an 8/10.